The polka is originally a Czech dance and genre of dance music familiar throughout Europe and the Americas. It originated in the middle of the 19th century in Bohemia, now part of the Czech Republic. The polka remains a popular folk music genre in many European countries, and is performed by folk artists in the Czech Republic, Germany, Austria, Slovenia, Switzerland, Croatia and Finland, and to a lesser extent in Poland, Latvia, Lithuania, the Netherlands, Hungary, Italy, Ukraine, Romania, Belarus, Russia, and Slovakia. Local varieties of this dance are also found in the Nordic countries, Spain's Basque Country, the United Kingdom, Ireland, Latin America and the United States. Carnegie Hall is a concert venue in Midtown Manhattan in New York City, United States, located at 881 Seventh Avenue, occupying the east side of Seventh Avenue between West 56th Street and West 57th Street, two blocks south of Central Park. 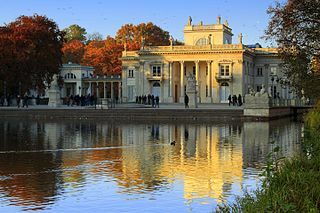 Palace of Culture or House of Culture was the name for major club-houses in the Soviet Union and the rest of the Eastern bloc. WTBQ is an independent radio station broadcasting from Warwick, New York. The last locally owned radio station in Orange County, New York, WTBQ broadcasts on 1110 AM and 93.5 FM, throughout Orange County and Northern New Jersey. The station has a diversified format consisting of news, oldies music, specialty music shows, talk shows, and specialty programming. Florida is a village in Orange County, New York, United States. The population was 2,833 at the 2010 census estimates. 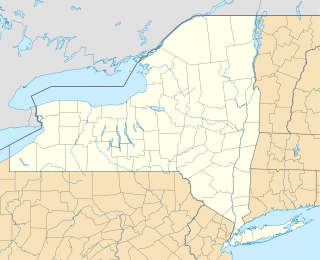 It is part of the Poughkeepsie-Newburgh-Middletown, NY Metropolitan Statistical Area as well as the larger New York–Newark–Bridgeport, NY-NJ-CT-PA Combined Statistical Area. The village is located in the town of Warwick, with two small northern portions in the town of Goshen. Florida is at the convergence of Routes 17A, 25, and 94. Come Share the Wine is an album by Jimmy Sturr and His Orchestra, released through Rounder Records on August 21, 2007. 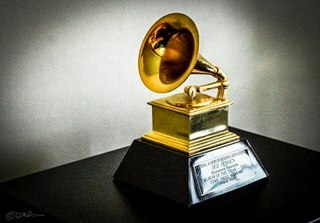 In 2008, the album won the group the Grammy Award for Best Polka Album. Gone Polka is an album by Jimmy Sturr, released through Rounder Records on September 25, 2001. In 2002, the album won Sturr the Grammy Award for Best Polka Album. Willie Hugh Nelson is an American singer, songwriter, musician, actor, producer, author, poet, and activist. The critical success of the album Shotgun Willie (1973), combined with the critical and commercial success of Red Headed Stranger (1975) and Stardust (1978), made Nelson one of the most recognized artists in country music. He was one of the main figures of outlaw country, a subgenre of country music that developed in the late 1960s as a reaction to the conservative restrictions of the Nashville sound. Nelson has acted in over 30 films, co-authored several books, and has been involved in activism for the use of biofuels and the legalization of marijuana. The Mills Blue Rhythm Band was an American big band of the 1930s. James Dillon is a Scottish composer who is often regarded as belonging to the New Complexity school. Dillon studied art and design, linguistics, piano, acoustics, Indian rhythm, mathematics and computer music, but is self-taught in composition. Éric Gaudibert was a Swiss composer. The Dutch Swing College Band "DSCB" is a traditional dixieland band founded on 5 May 1945 by bandleader and clarinettist/saxophonist Peter Schilperoort. Giorgos Kyriakakis was born in 1967 in Crete where he took his first music lessons. He studied Composition and Analysis with Joseph Papadatos and Byzantine music with Lykourgos Angelopoulos at the "Philippos Nakas" Conservatory of Athens. He continued his studies in Composition, Music for the Media, Music of Non-European Cultures with Dimitri Terzakis and in Electroacoustic Composition with Eckhard Roedger at the "Musikhochschule fuer Musik und Theater Felix Mendelssohn Bartholdy” Leipzig. He has composed works for children's theatre, for the cinema as well as music for solo instruments, chamber ensembles, choir and orchestra. His compositions have been performed in Greece and abroad. His works have been recorded by FMrecords and ARKYS. He is a member of the “Greek Composers' Union” and the “Deutscher Komponistenverband„. Since 2006 he has been elected as Assistant Professor of Composition and Contemporary Music in the département of Music Art and Science, University of Macedonia, Thessaloniki. He was until 2009 a producer of the Greek broadcast (ERA2). His works are being published by Edition Gravis. He lives and works as a free composer in Berlin. Live at the Village Vanguard is a 1967 big band jazz album recorded by the Thad Jones/Mel Lewis Jazz Orchestra and released on the Solid State Records label. The album was nominated for a 1967 Grammy award in the "Best Instrumental Jazz Performance - Large Group..." category. All tracks are also included on Mosaic's limited edition boxed set, The Complete Solid State Recordings of the Thad Jones/Mel Lewis Orchestra and seven tracks were also re-issued in the 1990s on CD as Volume 3 of LRC Ltd.'s series Village Vanguard Live Sessions. Opening Night is a big band jazz recording of the Thad Jones/Mel Lewis Jazz Orchestra playing at the Village Vanguard club in New York City in February 1966. This was the first performance of the group at this club although the recording was not released until 2000. A 50-year tradition for Monday nights at the Village Vanguard began from this first evening for the Thad Jones/Mel Lewis Jazz Orchestra which later became the Mel Lewis Jazz Orchestra and eventually the Vanguard Jazz Orchestra. Gary Kulesha is a Canadian composer, pianist, conductor, and educator. Since 1995, he has been Composer Advisor to the Toronto Symphony Orchestra. He has been Composer-in-Residence with the Kitchener-Waterloo Symphony (1988–1992) and the Canadian Opera Company (1993–1995). He was awarded the National Arts Centre Orchestra Composer Award in 2002. He currently teaches on the music faculty at the University of Toronto. Madeleine Isaksson is a Swedish/French composer. Let's Kiss: 25th Anniversary Album is an album by the American polka band Brave Combo, released through Dentone Records on October 28, 2004. In 2005, the album won Brave Combo the Grammy Award for Best Polka Album. Marcel Wengler is a Luxembourg composer and conductor. From 1972–1997, he headed the Conservatoire de Luxembourg. Since 2000, he has been director of the Luxembourg Music Information Centre. His compositions include symphonies, concertos, chamber music and musicals. Ketil Hvoslef is a Norwegian composer. He is the son of composer Harald Sæverud. The Smithsonian Collection of Classic Jazz is a six-LP box set released in 1973 by the Smithsonian Institution. Compiled by jazz essayist and historian Martin Williams, the album featured tracks from over a dozen record labels spanning several decades and genres of American jazz, from ragtime and big band to post-bop and free jazz. The compilation has been recognized as an invaluable document of jazz history and maintains a legacy as introductory listening for new jazz fans as well as scholarship due to its extensive liner notes. All My Yesterdays is a big band jazz recording of the Thad Jones/Mel Lewis Jazz Orchestra playing at the Village Vanguard club in New York City in February and March 1966. The February 7 tracks are the first recordings of the group at this club although the recording was not released until 2016. A 50-year tradition for Monday nights at the Village Vanguard began from this first evening for the Thad Jones/Mel Lewis Jazz Orchestra which later became the Mel Lewis Jazz Orchestra and eventually the Vanguard Jazz Orchestra. Orchestra National de Jazz is a French jazz ensemble originally created at the initiation of Jack Lang, at that time Minister of Culture. Its first leader was François Jeanneau. 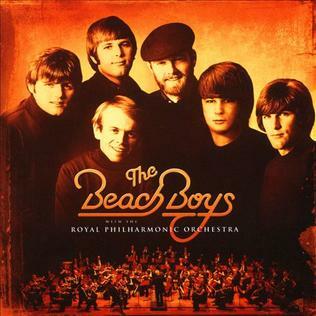 The Beach Boys with the Royal Philharmonic Orchestra is a 2018 album of remixed Beach Boys recordings with new orchestral arrangements performed by the Royal Philharmonic Orchestra. It was produced by Nick Patrick and Don Reedman, who conducted similar projects for Roy Orbison and Elvis Presley. 1 2 Sisario, Ben (February 5, 2006). "The Polka King Rolls Out the Barrel for the 19th Time". The New York Times . Retrieved October 18, 2010. ↑ "Weekly Schedule - Rural Radio". SiriusXM. Retrieved 2017-04-08. WorldCat is a union catalog that itemizes the collections of 72,000 libraries in 170 countries and territories that participate in the Online Computer Library Center (OCLC) global cooperative. It is operated by OCLC Online Computer Library Center, Inc. The subscribing member libraries collectively maintain WorldCat's database, the world's largest bibliographic database. OCLC makes WorldCat itself available free to libraries, but the catalog is the foundation for other subscription OCLC services.